In verbal communication we use names to draw people's attention, and the names we use vary according to cultures, relations, and social customs. In India a wife addresses her husband as "arya putra" (one who follows Vedic religion), whereas in the West a wife shows awe and reverence toward her husband, while the Western wife adopts familiarity. Another basis for names is relationships. A child doesn't call his mother "wife of my father" because that would disturb the relationship between the child and mother. Nor does the child address his mother by the same name that the father used. A third basis of addressing people is social status. There is an Indian saying-nana vagarano nathiyo (a name of disrespect), whereas a person with money is known as Nathalal (an honorable address). When Joe, a poor man, becomes rich, people call him Mr. Smith. Names sometimes change their meaning in association with other names. The name Madhava, for example, can refer to either a sentient being or an insentient object. Combined with Radha, as in Radha-Madhava, it refers to Krsna. Combined with madhu in Madhu-madhava, it means the month of Vaisakha, spring. Sometimes two people have the same family name. When Sanjaya uses the name Bharata, or "descendant of the Bharata dynasty," it refers to King Dhrtarastra. When Krsna uses the same name, Bharata, it refers to Pandavarjuna. So names can have different references. The author was born in a Vaisnava family on Holi in 1948 in Jhalod, Gujarat. In 1968, he went to the USA and worked as a chemical engineer in Detroit. He met Srila Prabhupada in 1974 at the Chicago Ratha-yatra. He eventually renounced his engineering career to become a dedicated follower of Srila prabhupada. He took initiation from him in January 1977. In 1981, in Jagannatha Puri, he purchased thirty acres of land, which he donated to the International Society for Krsna Consciousness (ISKCON). In 1991, he was the secretary of the ISKCON Puri Development Committee. He moved to Vrndavana in 1988 to study Srila Prabhupada's books in conjunction with the literature of the Gaudiya Vaisnavas. He has given seminars at the Vaisnava Institute of Higher Education and taught courses on the bhakti sastras. He is the author of Nectar from Numbers and has written a study guide for the Gita in Hindi. You may wonder how an author selects his subject. Originally, I planned this book as a dictionary. 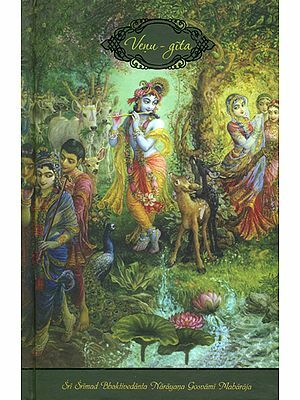 While teaching in the Bhaktivedanta Swami Gurukula in Vrndavana, India, about seven years ago, I was inspired to compile a dictionary of the words in Bhagavad-gita. During the compilation, I came across so many names of the Lord that I decided to list them separately, with simple English definitions. 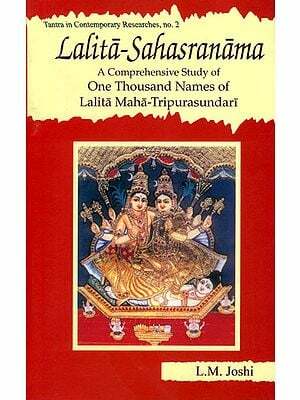 Then, after studying the commentaries of the Vaisnava acaryas, I thought it would be useful to expand the simple definitions of the names. During this period I presented a few seminars on this topic to ISKCON devotees, and their encouraging words inspired me to complete the work you have in your hands. 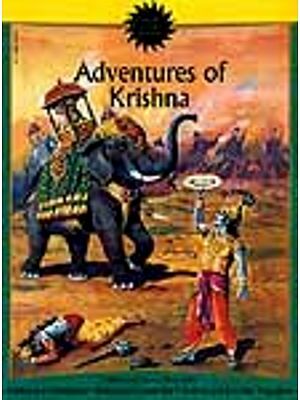 I feel that an analysis of the names of Sri Krsna will enhance study of both the Gita and Srimad-Bhagavatam. Many more examples could be added from the Srimad-Bhagavatam. Forty-one of Lord Sri Krsna's names and twenty-three of Arjuna's names are in the Gita. Because most of Krsna's names appear in Arjuna's questions, I also discussed those questions. I hope readers find it inspiring to study sastras using the technique I used here. For example, in this verse from Srimad-Bhagavatam (2.2.31)-etam gatim bhagavatim gato yah sa vai punar neha visajjate 'nga-Sri Sukadeva Gosvami calls Pariksit Maharaja an Anga. Anga means a part or limb. If we take the primary meaning of the word, then the statement does not make sense, because they do not have a family relationship. We therefore have to consider a secondary meaning. Everyone loves one's own body-its limbs and parts. Thus this address suggests that Sri Sukadeva Goswami considered Pariksit Maharaja as dear to him as his own bodily limbs. In this mood, they carried on their devotional dialogue. In our analysis of the names of Krsna and Arjuna, we have taken a similar approach and showed the close relationship between Krsna and Arjuna. I have tried to make a complete analysis of all the names. They are arranged in order of chapters in gita for an easy flow. I admit my frailty in this presentation. But inspired by the devotees' association, I have compiled this work for their pleasure. I feel that out of their kindness they well forgive my shortcomings and relish the Gita's teachings.